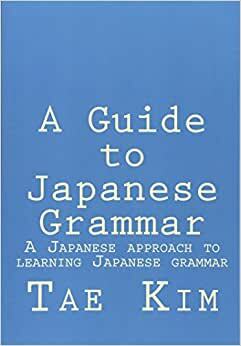 Is there a subject in Japanese grammar? One of my biggest pet peeves in the field of Japanese as a second language is the 「が」 particle being called the “subject particle”. This misleading terminology comes from my second biggest pet peeve, which is educators trying to artificially tie Japanese into English language concepts. I think one of the problems is that Japanese teachers, especially native speakers, really don’t understand their own language from a conceptual point-of-view and more importantly how it logically differs from English. I can illustrate how stupid it is to call 「が」 the subject particle in the following simple dialogue. Looking at the last sentence, if 「クレープが」 is indeed marking crepe as the subject, we can only assume that Ａさん wants to go to Harajuku because the crepe wants to eat. But that doesn’t make any sense! In reality, 「クレープ」 here is supposed to be the object of the sentence, the subject being Ａさん, who wants to eat crepe. The most simple conclusion, if you insist on thinking in English, is that the 「が」 particle can either represent the subject or the object of the sentence. But why would you use the same particle to represent something completely so different as the subject and the object? And to make things even worse, consider the following dialogue. If you throw in the fact that the 「は」 can also be the subject OR the object, it’s no wonder that Japanese particles seem so confusing! It’s natural that students can never figure out the difference between 「は」 and 「が」 because it seems that either can be used to indicate the same things in English. This is where Japanese teachers should really beat into their heads that the concepts they’re looking for such as the subject does not exist in Japanese. The 「が」 particle also does not indicate the subject, it only identifies the unknown. For example, 「クレープが食べたいから。」 is identifying that it’s because crepe is the thing that he/she/we/they wants to eat. In English, the subject would be “it” as in, “It’s because I want to eat crepe”. But because Japanese doesn’t even have a subject, there is no need for such a construction. For further reading, I highly suggest this blog post: 「日本語に主語はあるのか？」. You do great work Tae Kim, keep it up!! I enjoy learning japanese! I would tend to agree, since the “subject” as we think of it in English is just implied but can’t really be stated (at least not in this sentence… maybe there are some sentences where it is by chance closer to an English subject). But while I think “subject marker” is a confusing way to teach this, in a way it kind of works. You could write the full phrase as 「(私は)クレープが食べたいから」, where you could translate the implied subject as me: “I think”. But「クレープが食べたい」 is not really “I want to eat a crepe”, it’s more like “a crepe is a thing that is wanting to be eaten (by me)”, in which case crepes are the subject. It took me a looong time to get this though, because no one seems to teach it this way. I agree that the talk of subject and object is confusing, just being honest about how weird it sounds to state the actual meaning of Japanese sentences in English, and vice versa, is a better method in my mind. Because there is so much everyday English-speaking culture and expression that is just not said in Japanese, and so many more expressions that we don’t say (like ~てくれる/~てもらう to express thankfulness) that should be stated when speaking Japanese! “a crepe is a thing that is wanting to be eaten (by me)” seems too contrived of a translation to properly make sense, especially for a beginner trying to distinguish between は and が. In this sense the concept of identifying particle seems to be more natural and flexible then subject particle, and among more situations as well. On the other hand, maybe “(a/the) crepe (is what is making me) want to eat (it)” could be a good translation to understand it just the way you said, kinda like クレープが（それを私に）食べたくならさせている but leaving out what comes after 食べたい. The crepe is a subject and marked by ga as usual. However, it is impossible to translate the phrase faithfully into English. The ending -tai makes a verb into what usually but misleadingly is called an i-adjective. These can function as predicates just as any ordinary verb can; something that is impossible in English. I agree absolutely that there are problems in using Latin concepts when describing Japanese but in this case the problem is not in the subject per se but in that English usage is misleading to who/what is the subject. A-san may want to eat the crepes but that is not what he says, He is not telling anything about himself. He is speaking about how the crepes are. Keep up the good work! Your site is on of (maybe the) best but you should reconsider this. There is a thing in my language called; “Sujeto Tacito”, which would translate to roughly “implicit subject”. Couldn’t it work similarly in Japanese? One thing I always found funny about english while learning it, was exactly the idea that you needed to make explicit the subject on every sentence. The thing is that sentences with “sujeto tácito” use the verb to imply the subject, at least in part (compare “Comimos helado” vs “Comió helado”, one possible subject vs three). In Japanese there is no way to indicate this with the verb alone, at least not without using long, nuanced sentences full of keigo and such. The agent is the performer of an action. In many sentences, a word group is subject and agent at the same time. As in “The cat eats the mouse”, the cat is subject and agent at the same time. And sometimes, the agent is implied, as in : The mouse is eaten. It’s the same thing in this sentence: クレープが食べたい。 if we consider たべたい as a verb, equivalent to the passive counterpart of “desire to eat”, (which does not exist in English, but if it existed it could have been something like “be desired to eat” ). But actually, it’s not totally a verb although it retains the ability to have direct objects, indirect object, adverbs… It’s a compound i-adjective, containing the stem of a verb. It’s the auxiliary i-adjective たい used with the stem たべ. Actually, tabetai is a japanese adjective pretty hard to translate as an English adjective, meaning something like “in the state such as I desire to eat (it)”. Would you not say 私はクレープを食べたい? Eat is a verb so wouldn’t the particle for it would be ‘wo’? I get that「は」and「が」would work but 「を」seems more grammatically correct. There was a youtube describing the different and what I took from it is using は could be like: That is mine, where the ‘that’ is more important. And if someone were to ask, “Whose is this?”, use が to make ‘belonging to me’ more important. I guess in English: THAT is mine vs that is MINE. You seem to understand が well, but I think you may have the reasoning backwards here. が is commonly used in subordinate phrases to define the main actor, which is usually the subject but sometimes the object. So while it functions similar to は in that case, calling it the “topic” doesn’t make much sense if it only applies to one short phrase. Plus, it seems to me the whole reason you can’t use は for an unknown is because an unknown can’t be the topic of the conversation. I believe the definition aspect of が comes implicitly from the fact that it is what is normally used to define an unknown. I disagree with this. が only ever marks the subject of a sentence, it is simply that in English a human is always used as the subject when possible. 「クレープが食べたい」 does not mean “I want to eat crepes”, it means the crepes are manifesting this quality. This is better expressed with a simpler term-「コーヒーが好き」. This is always translated as “I like coffee”, when the actual meaning is “Coffee is pleasing(this is about as close to 「好き」as I could manage, there’s no direct translation for it)”. The only reason this appears to be so confusing is because of the evolved English trend of selecting a human being as the subject whenever possible. Your website is pretty good for learning Japanese for beginners. However, I get stuck at the practice exercises. Without any context, it is damn difficult to know what the speakers are talking about and what to use in the blank spaces. As a result, I have to toggle the answers to see exactly what the sentence is all about. 食べたい describes the state of the crepe; it’s a stative, intransitive verb which takes the crepe as its subject. You’re confusing subject with agent. What am I confusing exactly? That I’m describing an agent? Then it’s not me that’s confused since I’m not the one espousing the term “subject” in Japanese grammar.